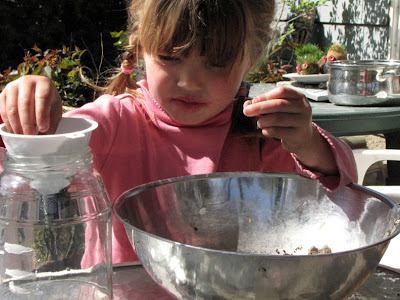 How exciting to find instructions for investigating the tiny organisms living in our soil! make sure you don't have any worms in you soil, or anything too big to escape through the screen. 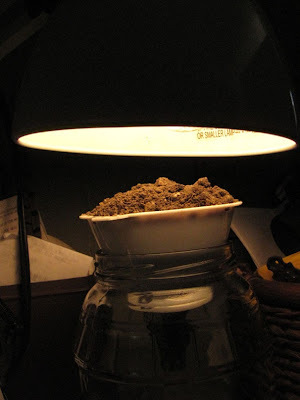 Leave the jar under the lamp for several hours, or overnight. 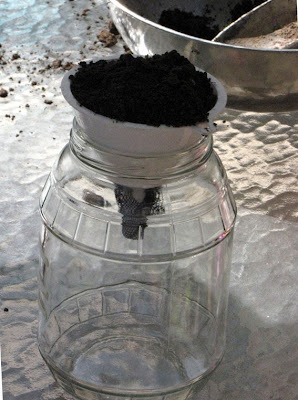 While under the lamp the soil will dry and heat up, and the organisms inside the soil will burrow down to escape the heat, and land at the bottom of the jar. 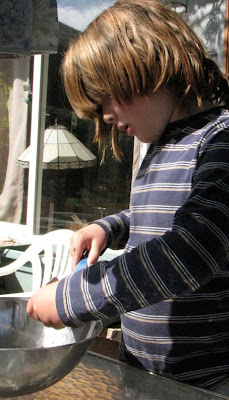 After studying the tiny creatures, be sure to return them to your garden! This one, too, came from our latest favorite, Barron's Science Wizardry For Kids. Oh my. That looks like so much fun. 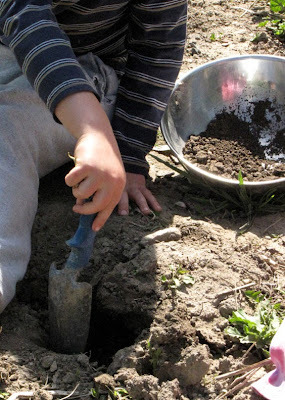 We just spent the morning pulling a bunch of red wigglers out of our vermicompost, so we're already in the dirt digging mood. 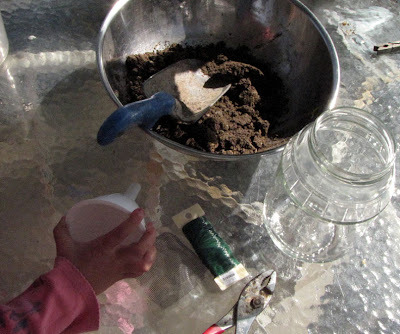 That experiment also works really well if instead of soil you use leaf litter--the layer of accumulated leaves and other organic matter found just above the soil in the woods and other natural areas. You might have fun comparing results from the two areas. 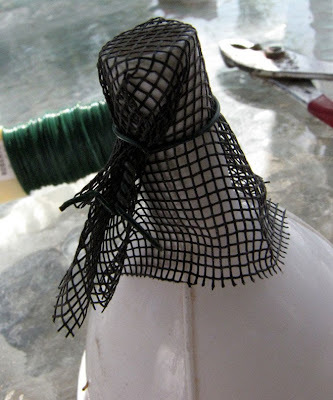 And trying it with the compost, too.